Obtaining a copy of your flu shot documentation is easy, peasy! Flu season and flu shots are just around the corner and this flu season will bring some changes in the documentation process. 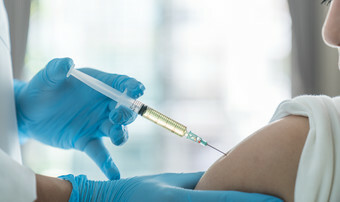 Employee Health will no longer be providing flu shot print outs for employees. This information will be available in the Patient Portal. If you are not signed up for the Patient Portal – Employee Health is happy to assist. If you are not sure if you have signed up for the Portal, visit my.bestcare.org (or go to Bestcare.org and click on My.Bestcare) and try to sign in. If the Portal asks for a medical record number, you are not signed up. Email Employee Health your legal name, date of birth and zip code at MHS.EmployeeHealth@nmhs.org or MJE.EmployeeHealth@nmhs.org to receive an email invite with instructions on how to sign up for the portal. This email invite is the easiest and fastest way to sign up. Thank you for your cooperation in streamlining this process!